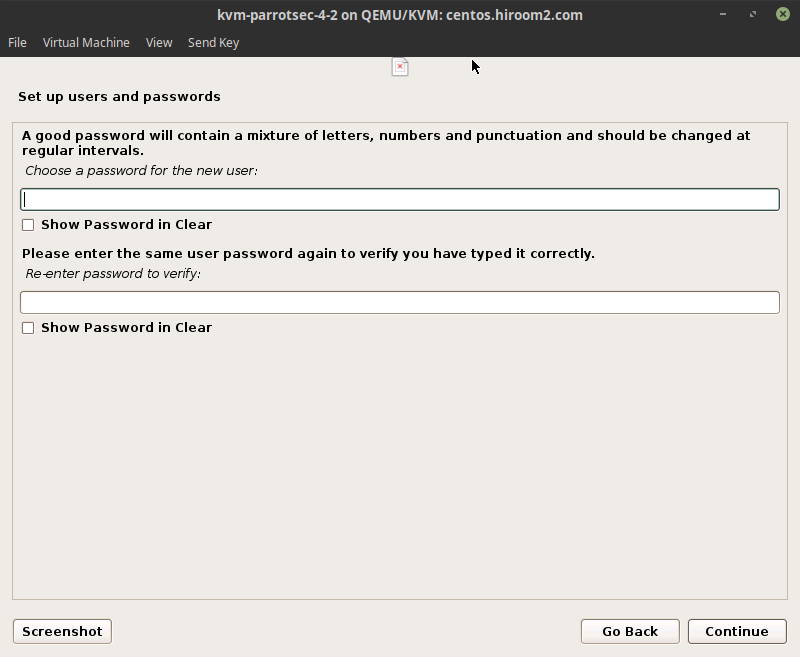 This article will describe installing ParrotSecurity. 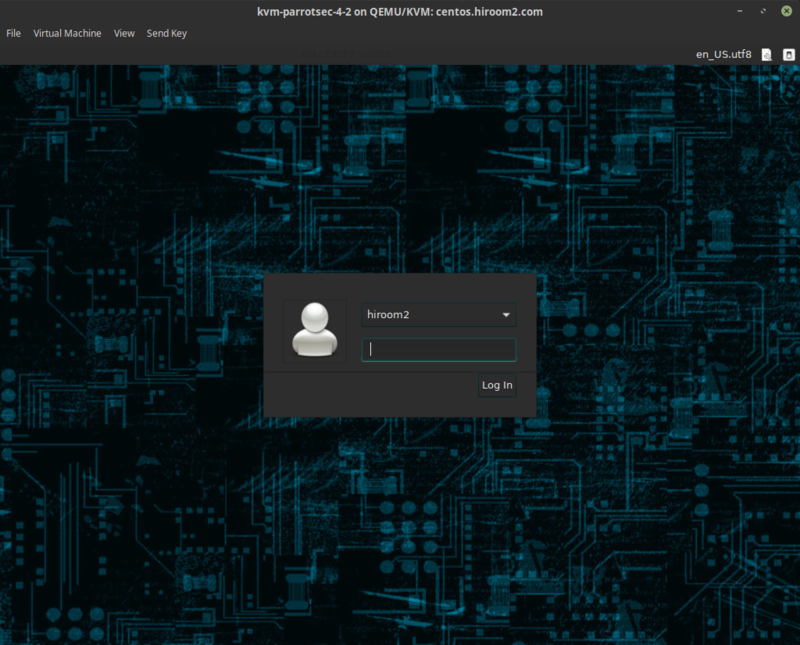 Download Parrot-security-4.2_amd64.iso and run it. GRUB menu is displayed. 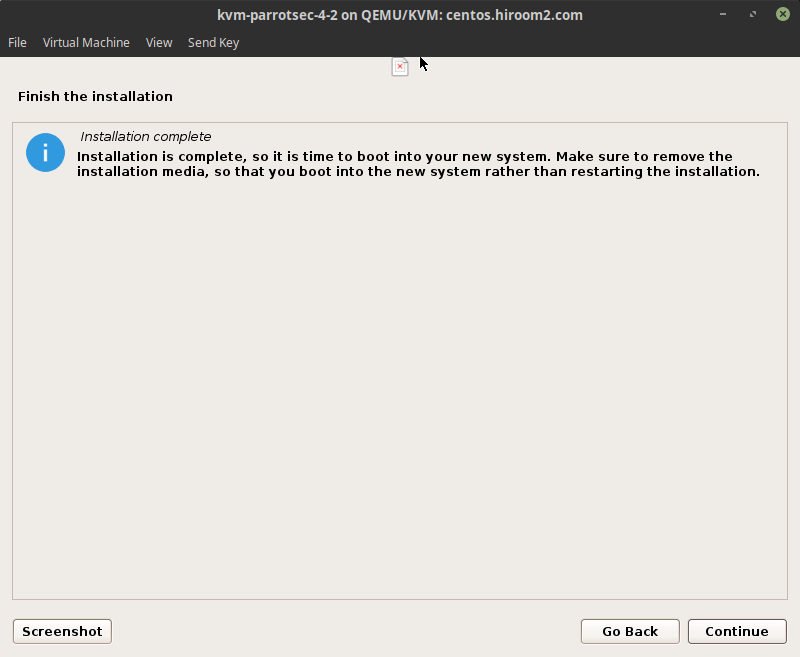 Select "Install". 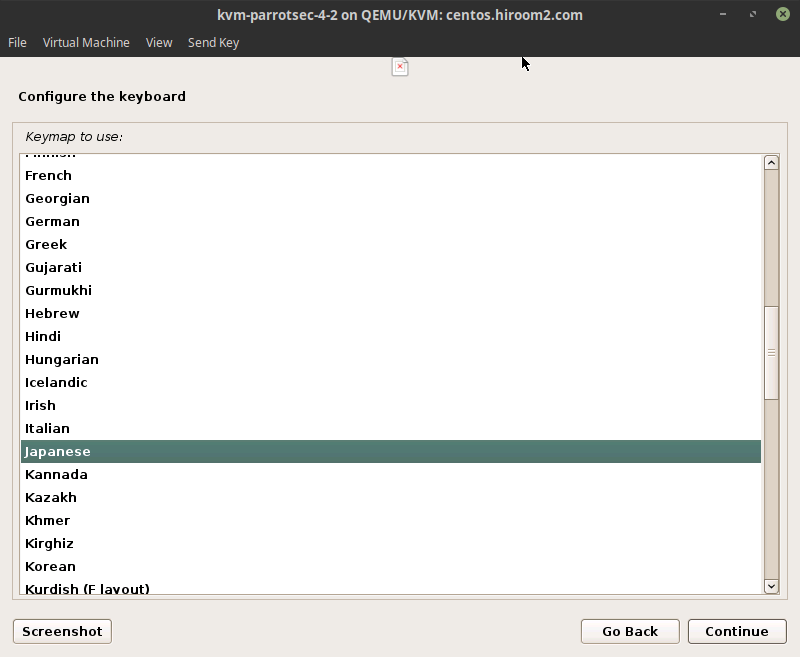 Select "Install with GTK GUI". Select language. This article selects English. Select location. 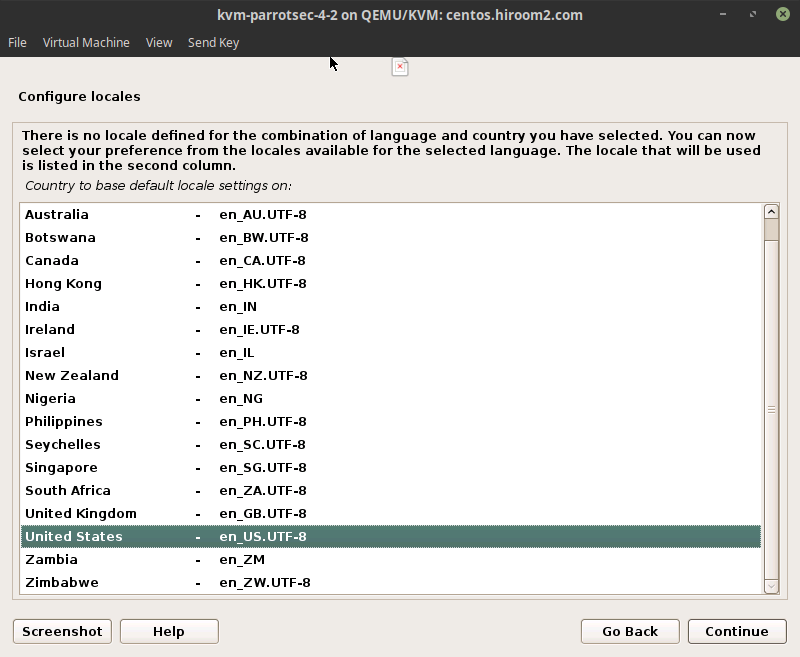 Displayed location is based on selected language. When selecting "other", all location will be displayed. This article selected "other", "Asia" and "Japan". If combination of language and location is undefined like combination of "English" and "Japan", you need to select locale. This article selected en_US.UTF-8. 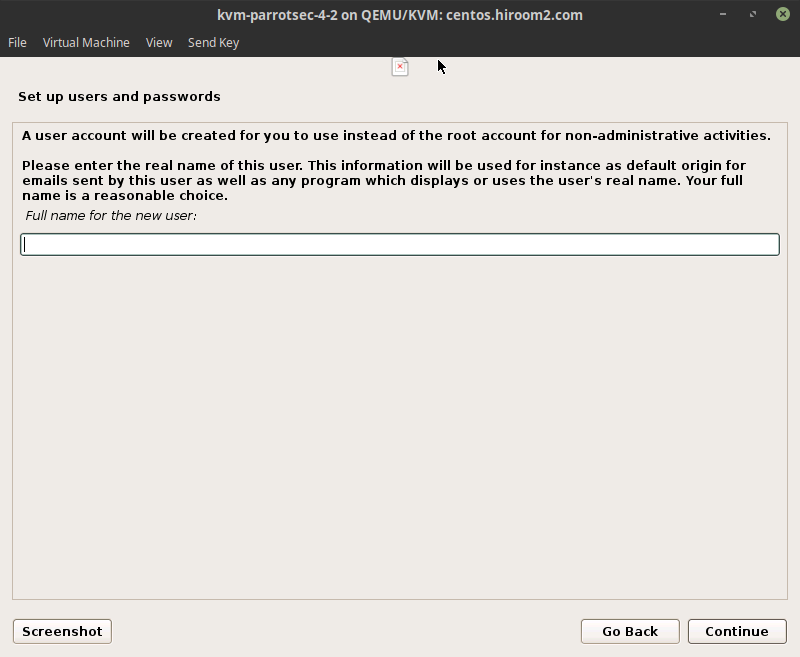 Add user who belongs to sudo group. 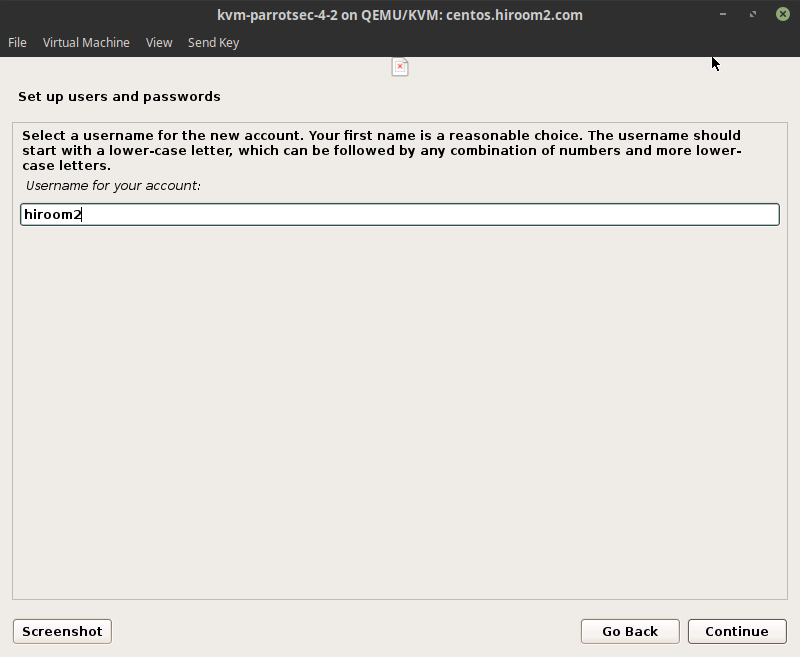 Input user full name. This can be empty. 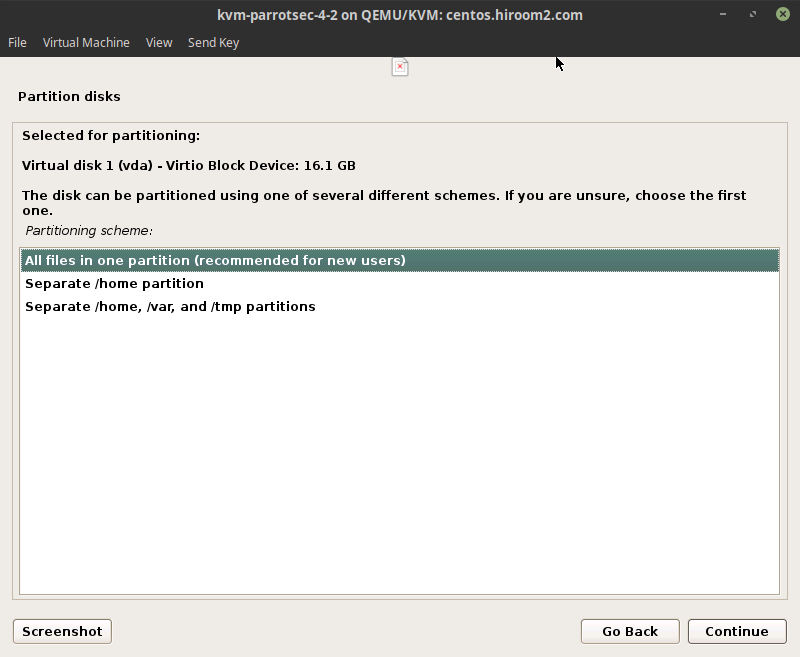 Select a way of partition disk. 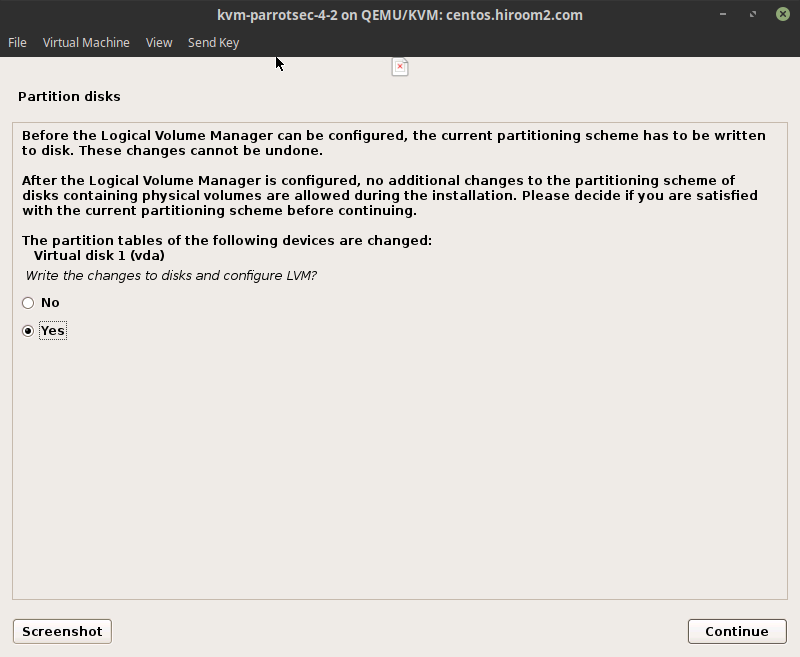 This article selected "Guided - use entire disk and set up LVM". Select a disk to be installed. Select a way of separating partition. This article selected "All files in one partition (recommended for new users)". 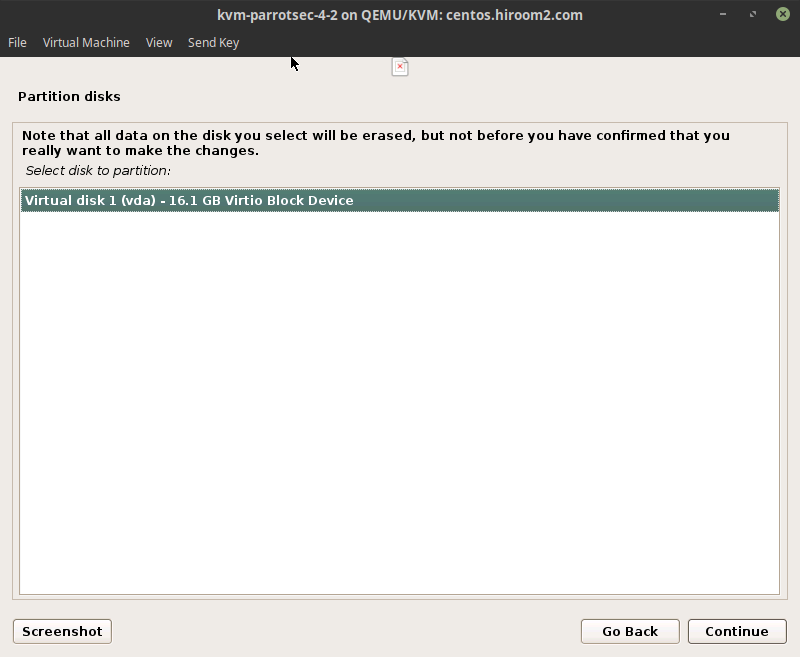 Confirmation for writing LVM to disk is displayed. 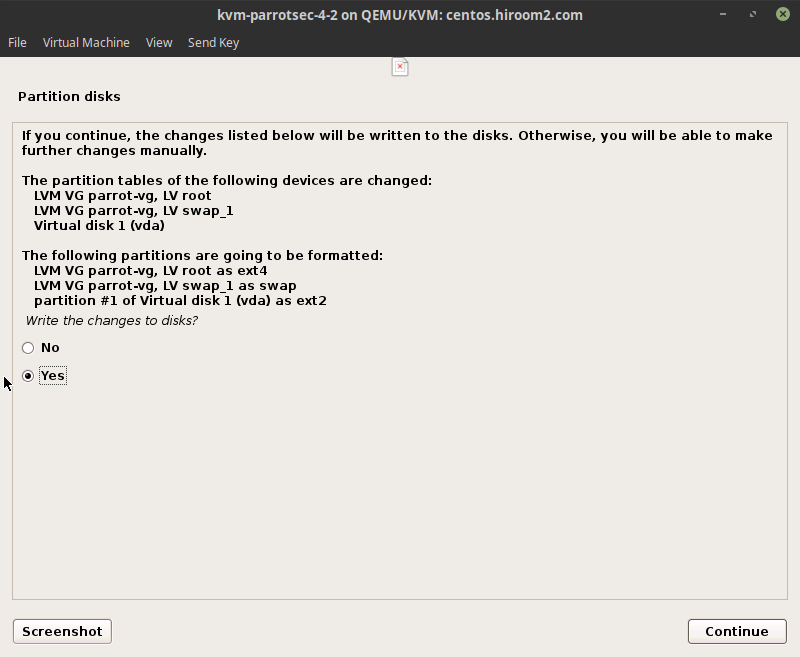 Selecting "Yes" will write to disk. Input size of LVM logical volume. If you use entire size of LVM physical volume, input "max". Confirmation for separating partition is displayed. Selecting "Yes" will write to disk. 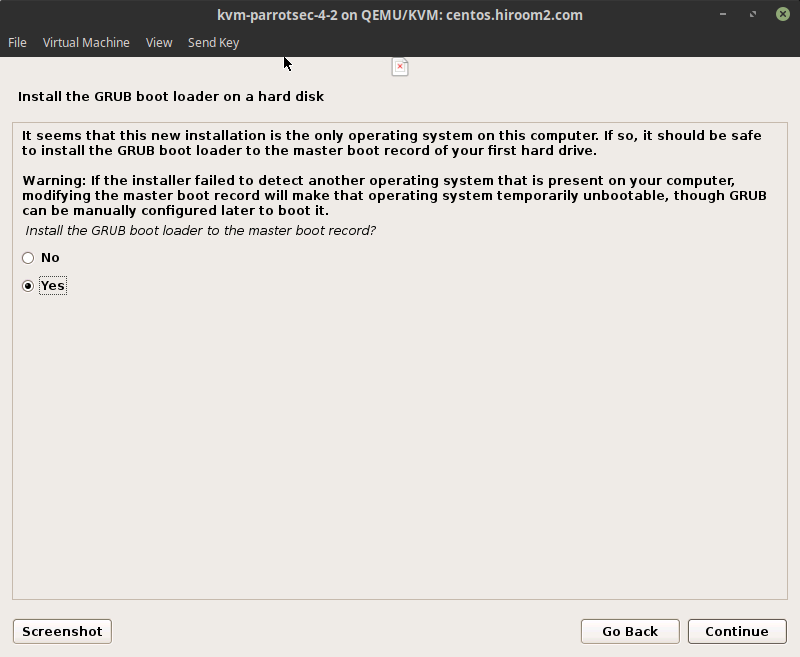 Confirmation for installing GRUB is displayed. Selecting "Yes" will install GRUB. 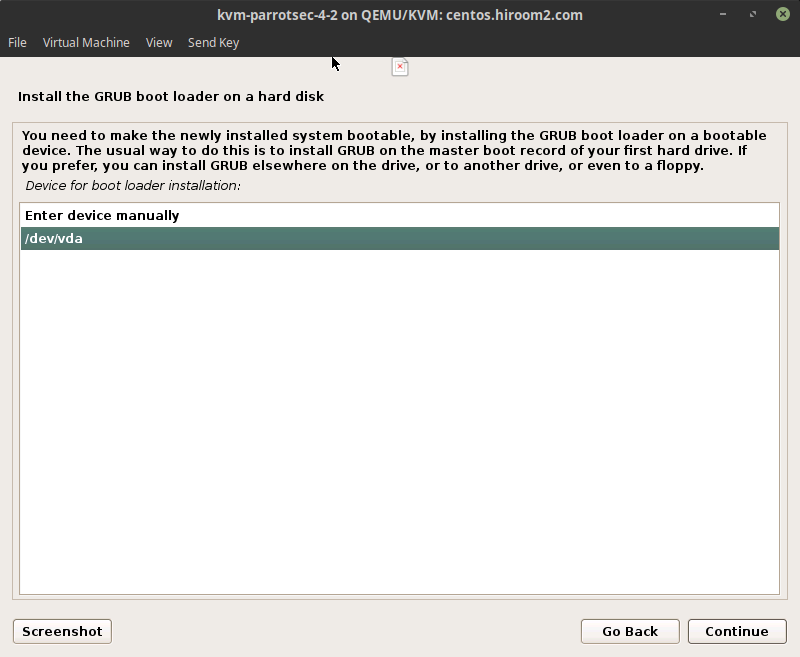 Select device to install GRUB. 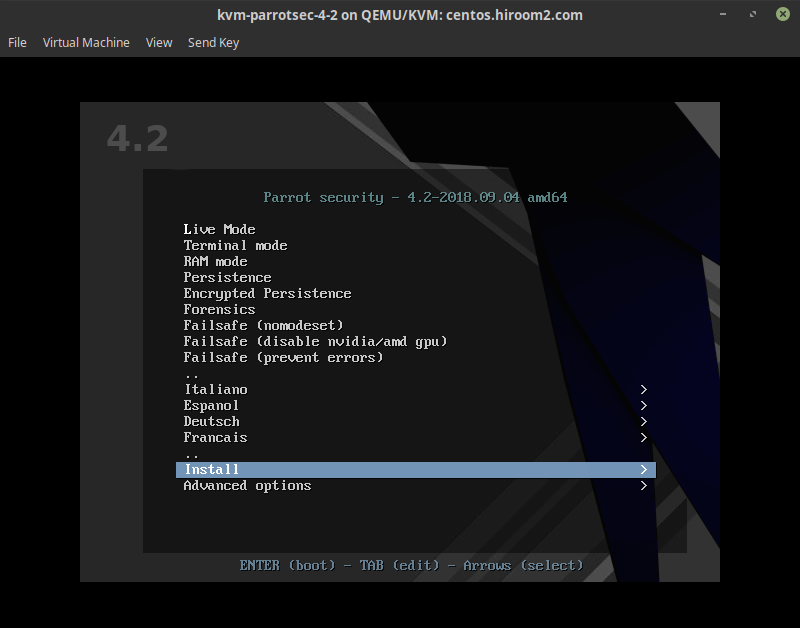 After reboot, Parrot security is started. # Update package and fix broken package.